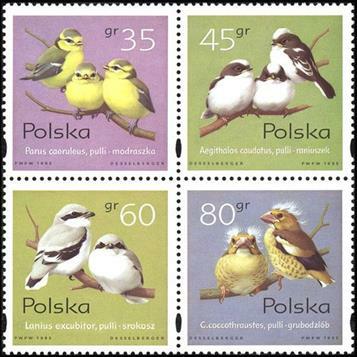 Poland, officially the Republic of Poland, is a country in Central Europe bordered by Germany to the west; the Czech Republic and Slovakia to the south; Ukraine, Belarus and Lithuania to the east; and the Baltic Sea and Kaliningrad Oblast, a Russian exclave, to the north. The total area of Poland is 312,679 square kilometres making it the 69th largest country in the world and the 9th largest in Europe. 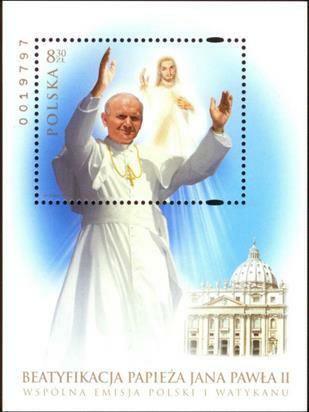 Poland has a population of over 38 million people, which makes it the 34th most populous country in the world and the sixth most populous member of the European Union, being its most populous Slavic member. The first Polish Postage Stamp bearing the Coat of Arms of Polish Kingdom was used for internal use in the country of Poland and also in Russia. 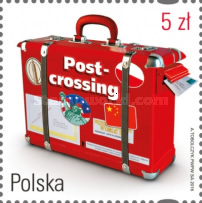 All other letters to foreign countries were sent by paying cash for postage. 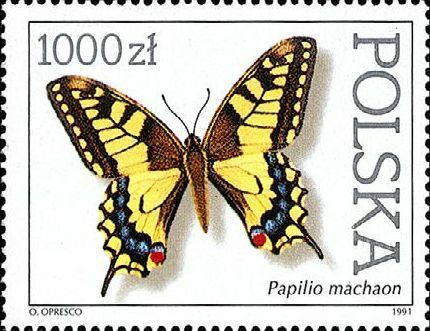 This stamp was withdrawn on 13th April 1865 and replaced by Russian stamp. Skier in folk costume. FIS is the abbreviation for Fédération International de Ski. 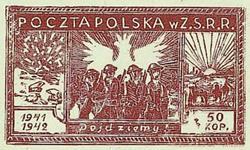 The Polski Komitet Wyzwolenia Narodowego (PKWN) formed in Lublin under the communist chairmanship of Edward Osףbka-Morawski, published the July Manifesto on 22 July 1944. 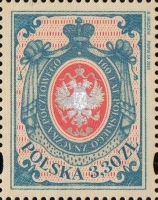 It proclaimed an end to all hostilities with the USSR, and it was recognized by the USSR as the "temporary organ of executive power in Poland". It was a rival organization to the government in exile in London and it had the advantage of being in situ and supported by Soviet troops. The July manifesto became the founding act of the new regime and the 22nd July became a state holiday. The celebration of the anniversary of the Manifesto aimed at strengthening the myth of the creation of the communist state in Poland and the Polish character of the new regime. Lublin, the place where the first communist government is said to be formed and where the manifesto was proclaimed played a special role in the celebrations. 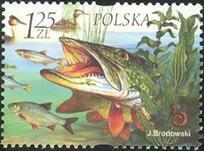 The eagle is the coat of arms, the national emblem of Poland. 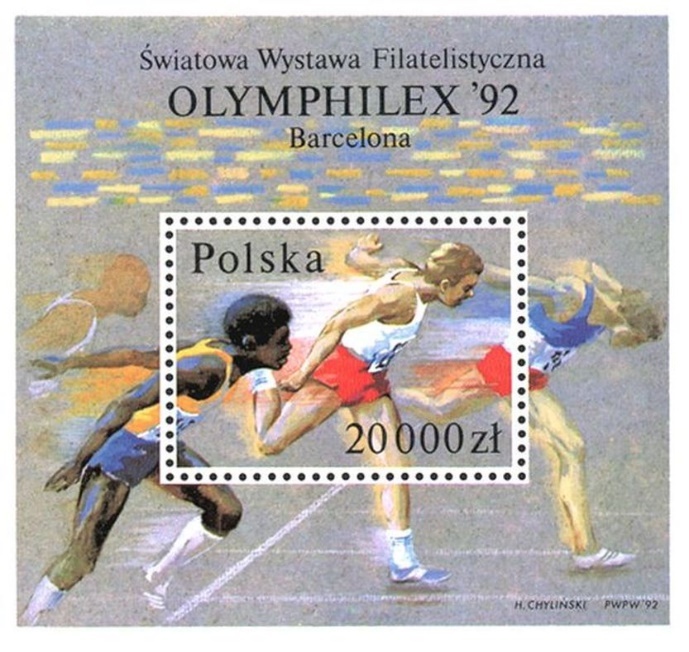 Stanowcza chwila -"The decisive moment"
Tematica is the name of an exhibition in Poznań, between 28 July and 11 August 1968. 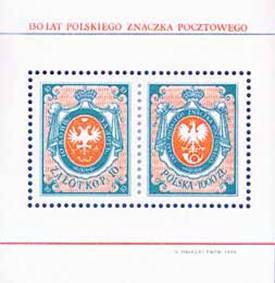 Lou Guadagno wrote: The Poland "wings" are just stretched out pseudo stamps of the Union emblem at the top right margin of the sheet. Too bad, this would have been a very original design for a sos if real stamps were used. The Lubin town hall presented in a surrealistic convention as if standing on a post stamp. 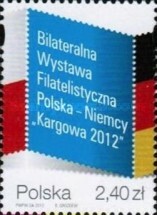 The Poland Exile Government in Gt. 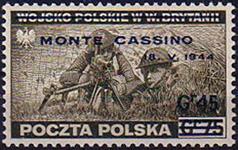 Britain stamps are both from a June 27, 1944 issue to commemorate the Polish army participation in the battle for Monte Cassino against the Germans. 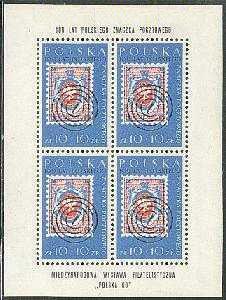 The set was overprinted on the original issue of Dec 15, 1941. 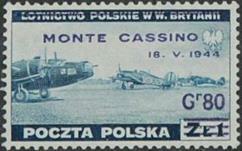 The Polish Army Field Post stamp was issued in Russia on August 18, 1942 to be used by Polish soldiers freed from Russian prisoner of war camps (where they had been held from 1939) and regrouped to fight the Germans on the Eastern front. 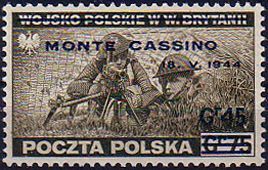 They were used for a very limited time as the next year the Poles were withdrawn to the Persian border area and later made their way to joined up with the Exile army attached to British forces in north Africa. 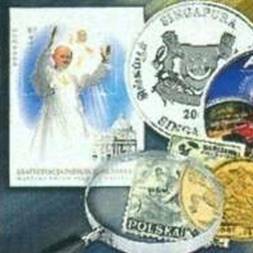 The stamps were confiscated by the Russians as the troops withdrew and almost all of these rare and expensive stamps exist used. The three stamps from the German prisoner of war camp for Polish officers in Gross-Born, Pomerania (then Germany, now in Poland), were designed and crudely printed by the prisoners with whatever materials they could put together and were issued on June 22, 1944. 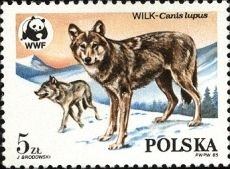 These are also rare. 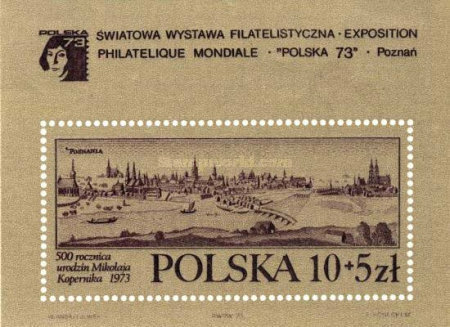 I was surprised at the inclusion of the ghetto stamp in the design, but this postal card was issued by the "new" Poland, so the treatment of Polish Jews during the War is now a recognized part of their history. 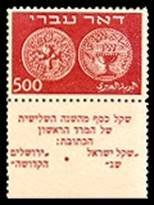 I could not find any info on the particular stamp design reproduced, but it was one of 3 values issued, and a similar design was issued earlier in March, 1944. 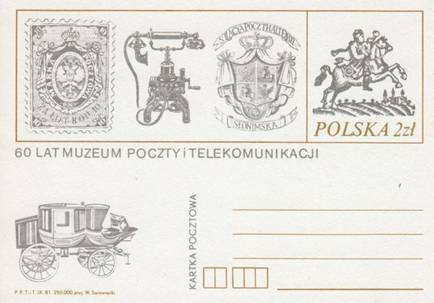 As the mail service in the German-run General Government of Poland did not operate inside the sealed off areas, the Judenpost, under the supervision of the Gestapo, was used to deliver local mails inside the Litzmannstadt ghetto of Lodz. 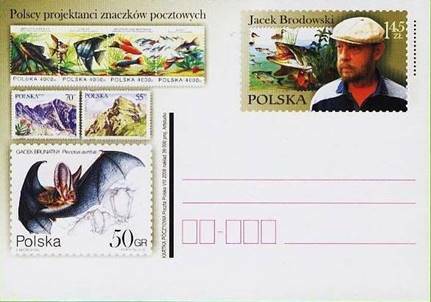 The tradition of joint issues of the EUROPA stamps is over 50 years old now. 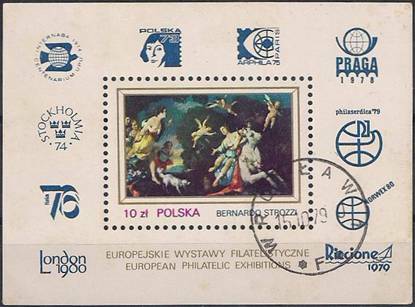 In 1956 six postal operators of the original member countries of the European Union (Belgium, France, Netherlands, Luxembourg, Germany and Italy) have prepared a joint issue of the stamp with the word EUROPA in a form of a tower built of its letters. 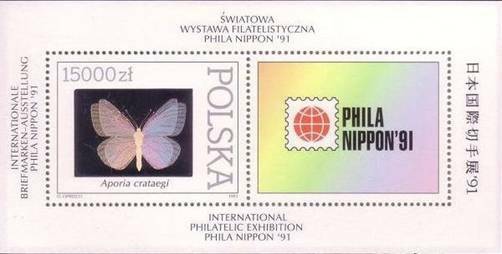 The joint issues have been continued recurrently up to 1973 always with common design with the leading themes such as: Europe, unity and peace, only gradually supplemented with some symbols of telecommunications. Since 1974 only Europe as the leading subject remained, and the stamps are designed by each country individually. 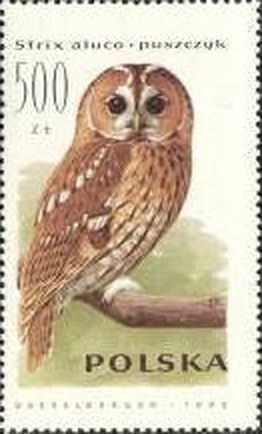 The range of possible themes has become therefore much broader, including culture, famous personages, or inventions, but also some more general problems, such as nature conservation or the 500th anniversary of the discovery of America in 1992. 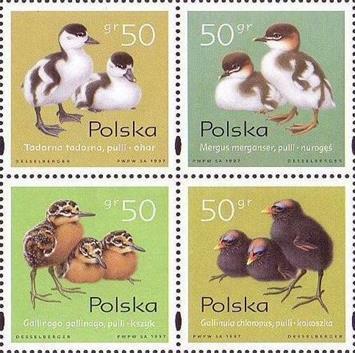 The EUROPA stamps should on one side contribute on popularity of the community ideas while on the other side they should help in mutual understanding of the various traditions. Moreover, they underline cooperation of the European public postal operators, particularly in the domain of philately. 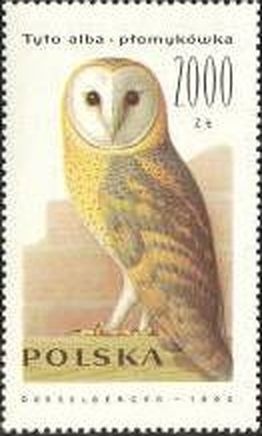 CEPT - European Conference of Postal and Telecommunications Administrations, an official sponsor of the EUROPA joint issues in the years 1959-92. 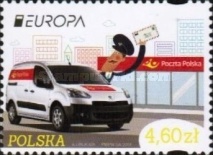 PostEurop - Association of the European Postal Public Operators. Exists since 1993 and it takes care about the EUROPA joint issues. 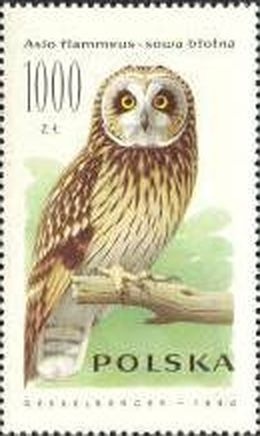 The theme of the last year EUROPA competition was the 100th anniversary of the International Scout Movement, and its winner was the Armenian stamp. All the stamps taking part in this year's competition can be seen at the PostEurop web page and from May 9 until August 8, 2008 the voting is open for all to select your favourites. 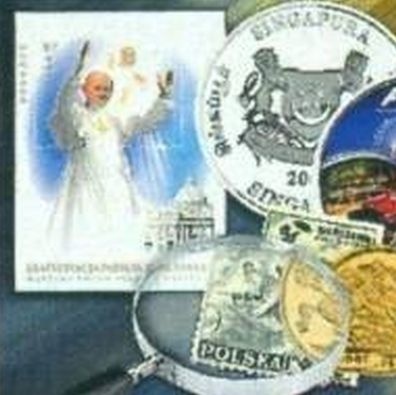 Two persons picked out from those that have selected the winning stamp will be granted special prizes - a full set of the 2008 EUROPA stamp issues. The winning stamp will be announced on November 13 during PostEurop's Extraordinary Plenary Assembly that will be held in Brussels, Belgium. The theme of the 2009 competition will be astronomy. 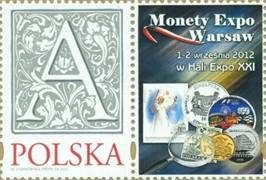 As every year, Poczta Polska has prepared its EUROPA stamp, whose theme for this year is "a letter". 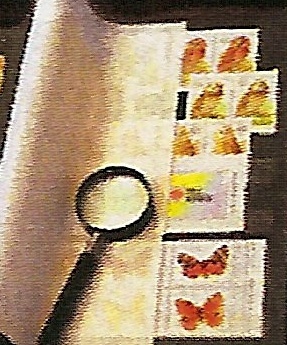 The designing artist placed an envelope with the calligraphed address on the table, between knife and fork instead of a plate, and thus it became something that appeases hunger, although not a physiological one. After all the letters, as the photographs, are the material records of fragments of life, a moment to be remembered or an instant emotion, and therefore they are a piece of art, being at the same time a historical document. This particular way of communication may be only imperfectly replaced by the e-mail or internet chat. 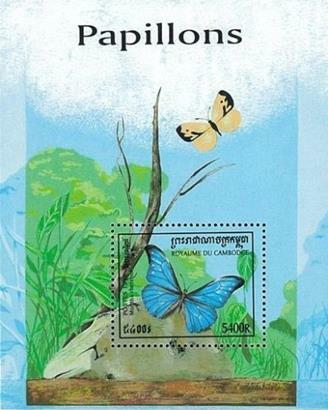 We used to come back to some letters after many years, they are also stored and recalled. 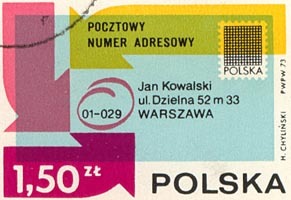 This issue, reminding us about the value of the handwritten letter, is accompanied by an occasional postmark in a form of the addressed envelope, applied at Warszawa 1 Post Office. 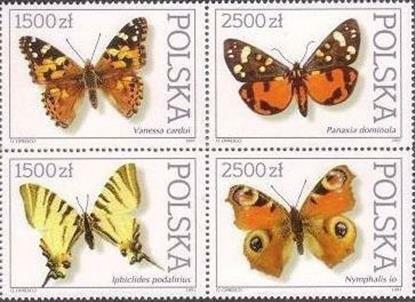 The fist postage stamps to appear on Polish Lands were issued in 1850. This was under the occupation by Austria and Prussia. 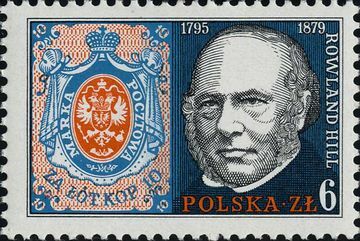 The first Polish Postage Stamp was issued on 1st January 1860 circular No. 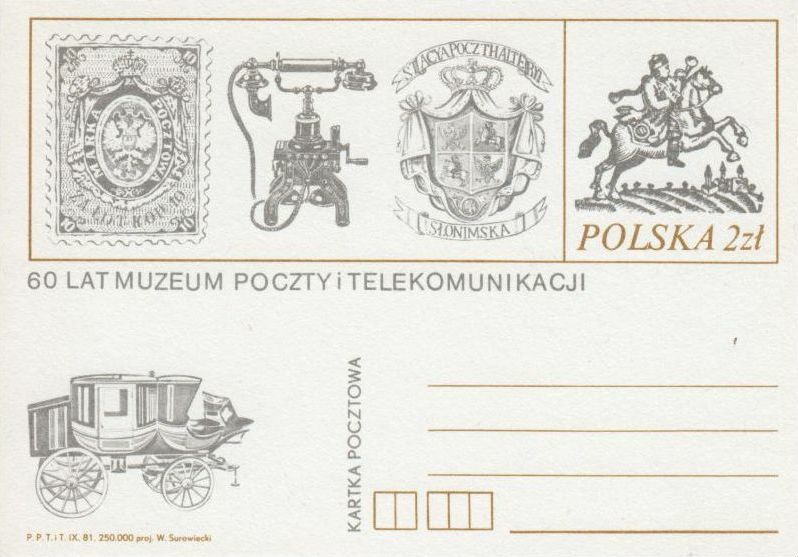 13 of the Royal Polish Post office dating from 14th December 1859. 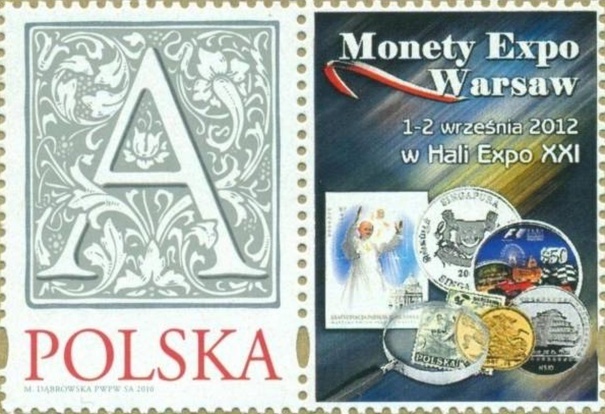 This stamp replaced the Russian stamps, then in circulation from 13 January 1858. Earlier the reproductions of the first Polish Stamps were issued by the Polish Office on the following stamps. 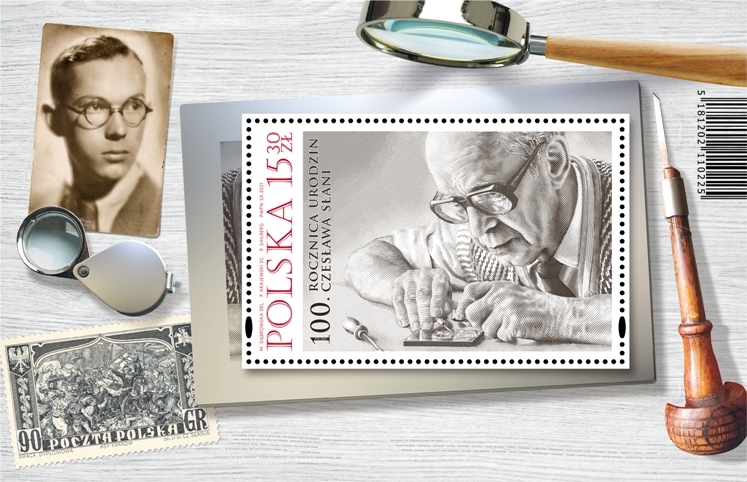 Personalized label - The label was issued to publicize an on line Polish stamp store. 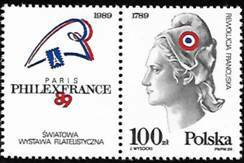 Lou wrote: The Poland-Gov't in Exile stamp was used on mail in the Polish London offices, military camps and merchant marine vessels. 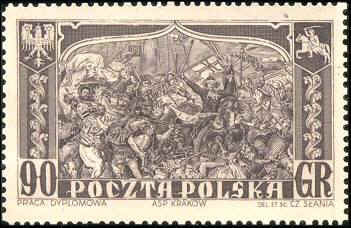 It was the only semi-postal stamp issued by the exile government and commemorates the Heroes of the Warsaw Uprising in 1944.